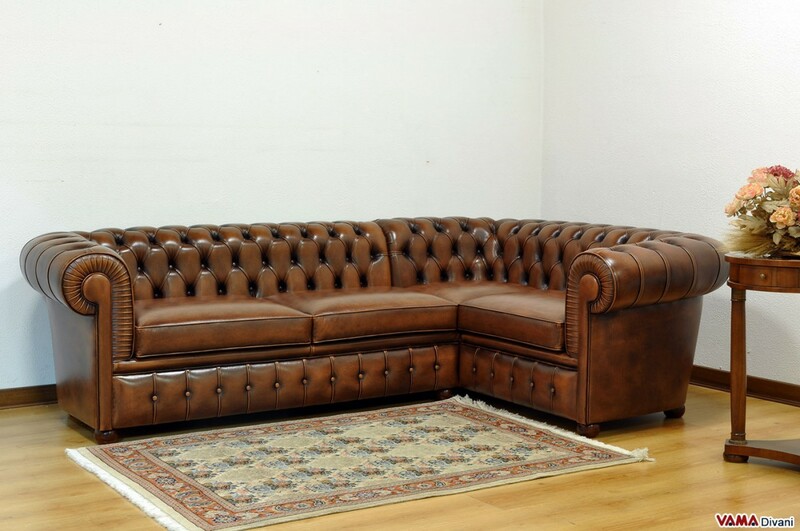 Ideal for those who want to create a stylish living room with lots of seating, this Chesterfield corner sofa is an outstanding solution for those who want to enhance with style and comfort a corner of a typically classic room. 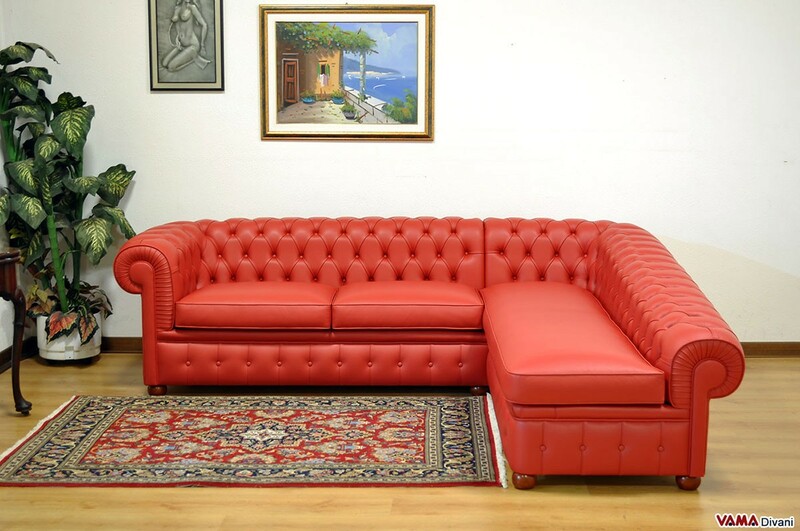 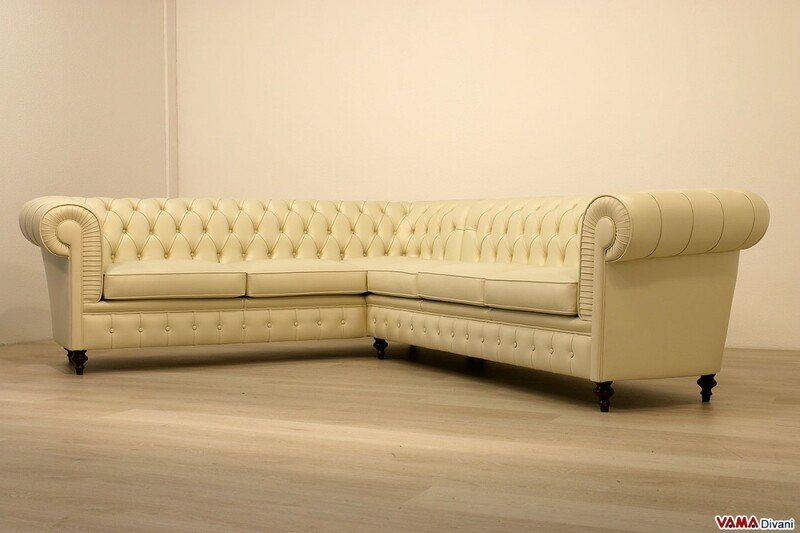 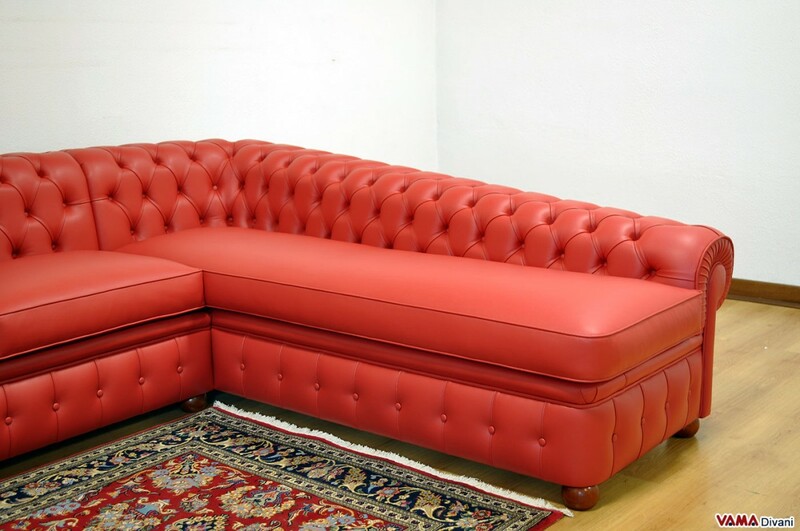 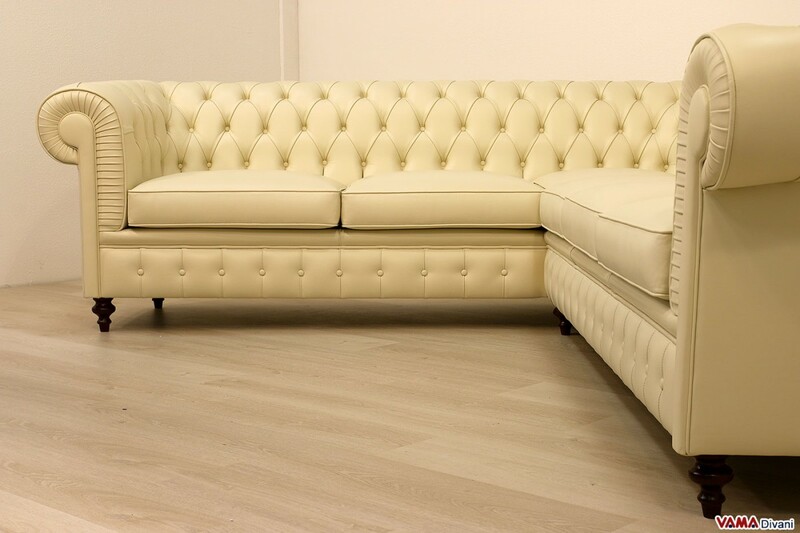 The Chesterfield sofa, as well known, is an undisputed icon of traditional furniture, and although it is a very old sofa, it is still the best one for lovers of Vintage style. 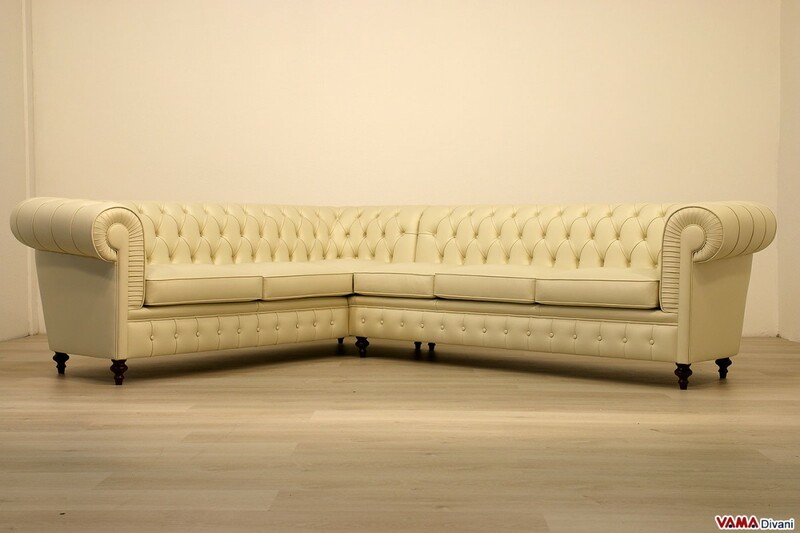 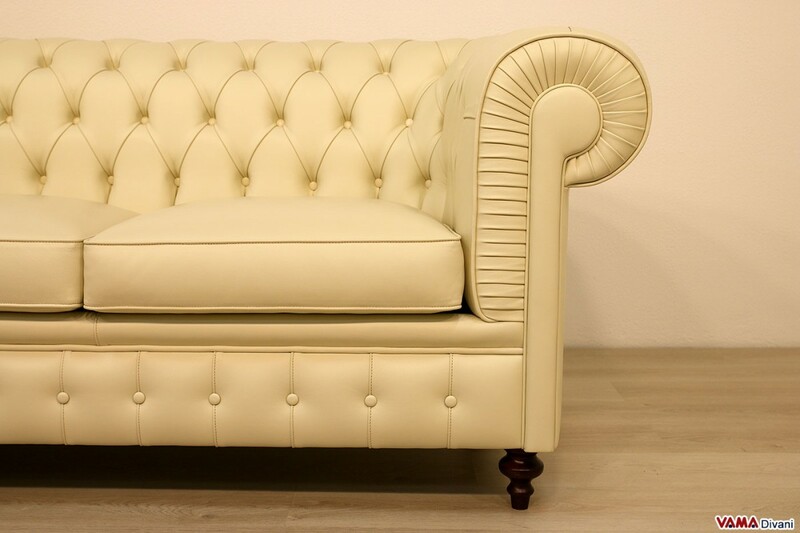 While presenting a very impressive corner structure, this sofa maintains all the typical characteristics of the Chesterfield models, dating back to the eighteenth century, starting from its buttoned details, unique embellishment that upholstered almost the whole surface of the sofa, to the less obvious details, such as the details of its arms. 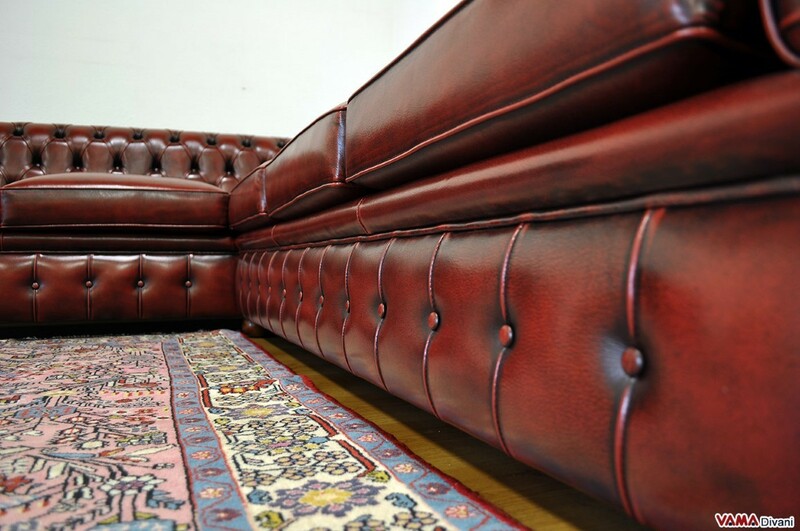 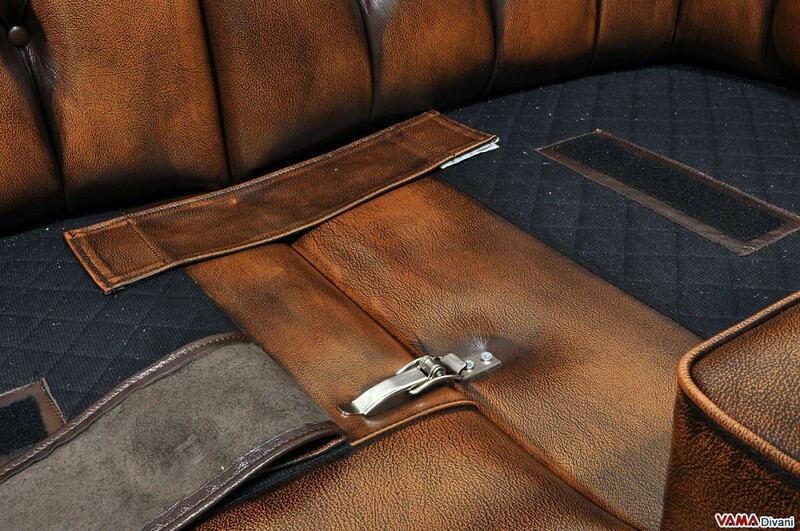 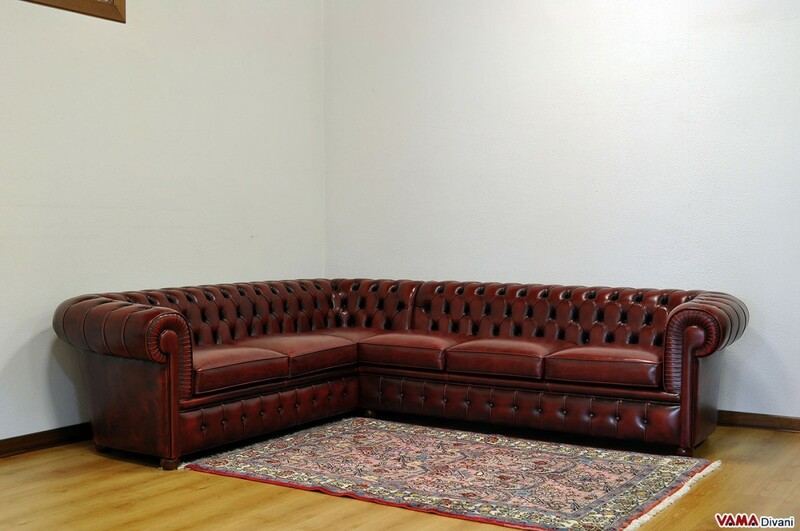 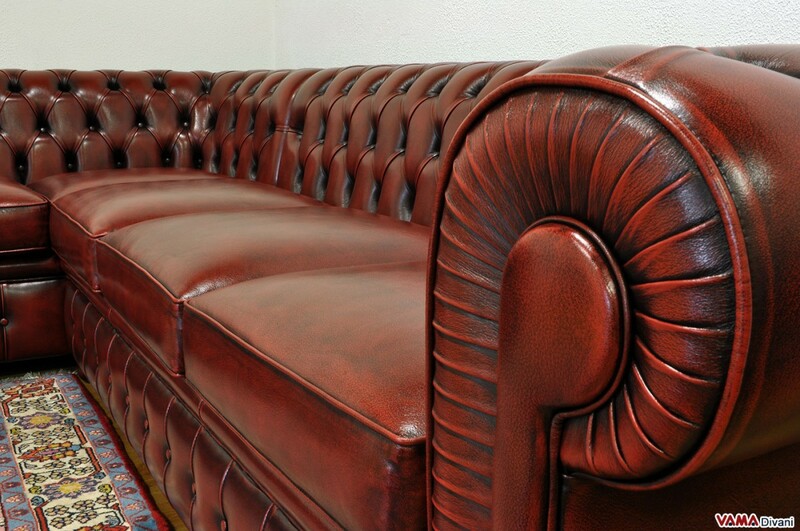 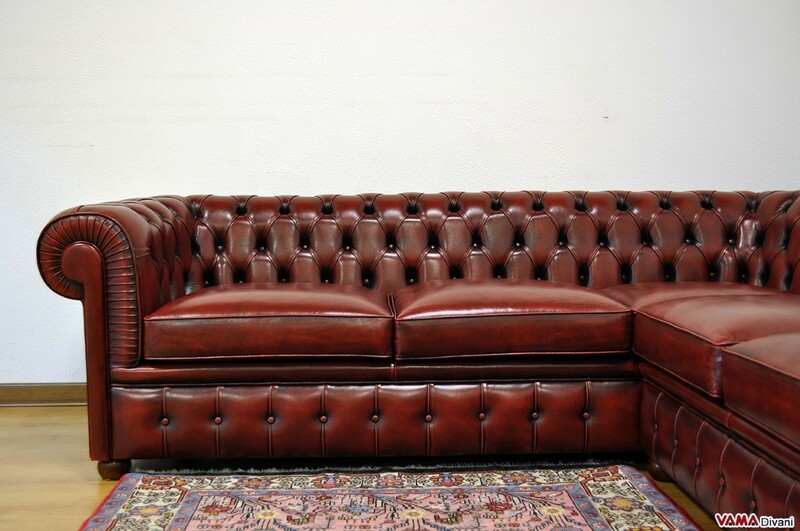 The leather used for this sofa, characterised by an elegant dark red shade and aged by hand using an accurate artisan technique, makes the look of this sofa even more distressed. 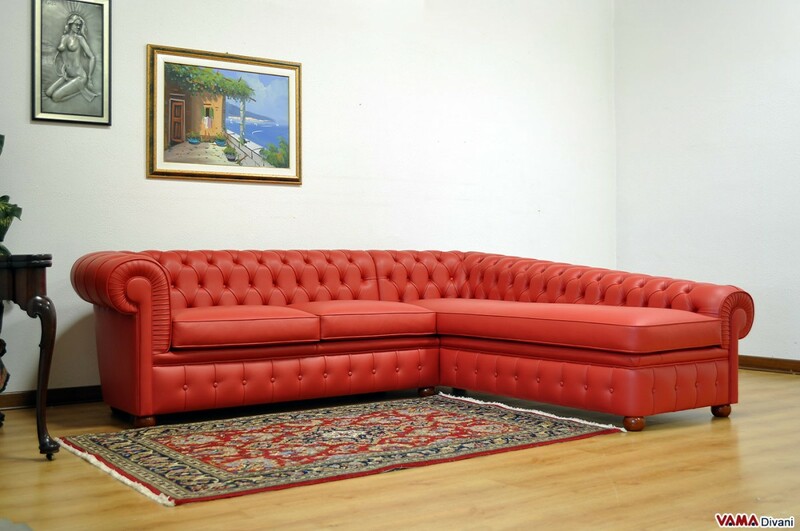 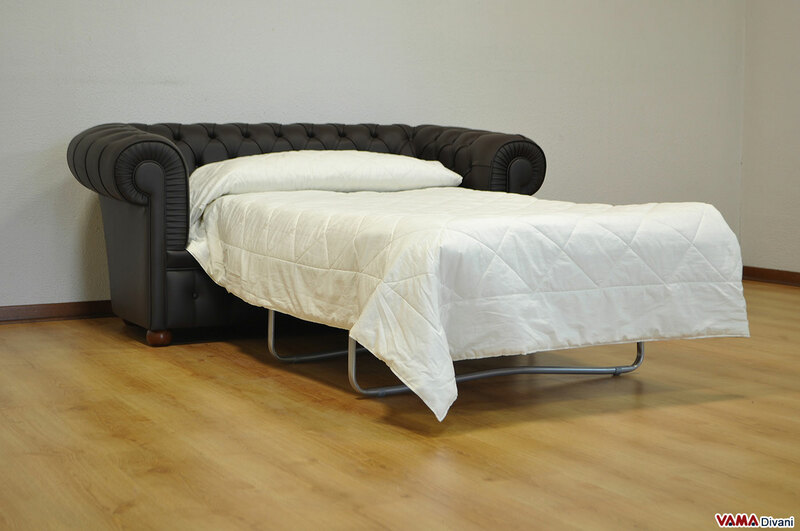 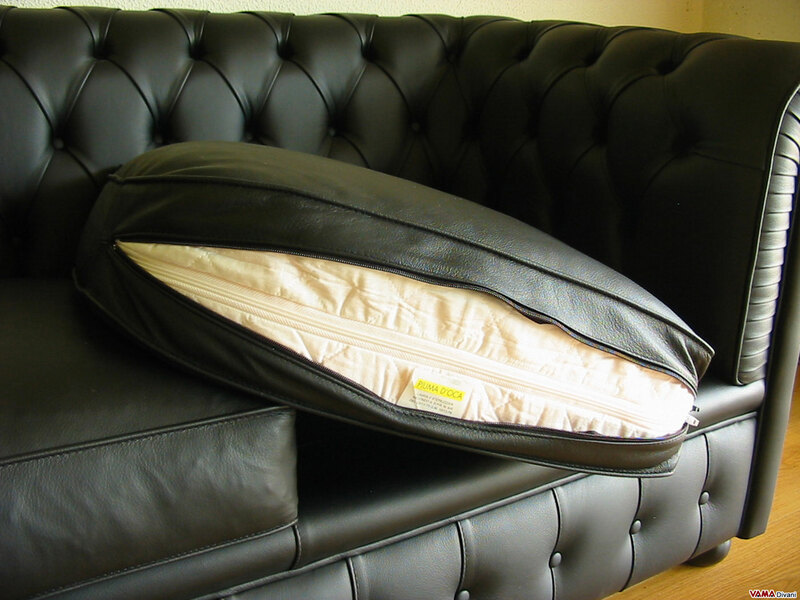 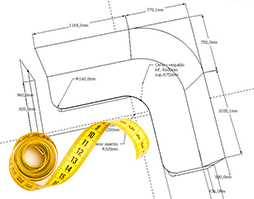 Unlike the Chesterfield modular sofa with rounded corner, the right angle covers all the space in the corner without leaving gaps between the sofa itself and the wall.